Gift boxed for a supporter who loves a cuppa or two! 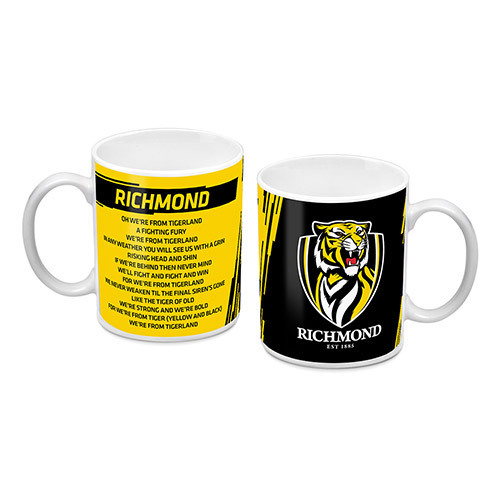 Wake up every morning with your coffee made in your new Richmond Tigers Coffee Mug. The 330ml ceramic mug features the club's logo on the front and the teams song on the back. The first line of the song is also printed on the inner lip of the mug. The Gift Boxed mug makes a great gift for the young & old.